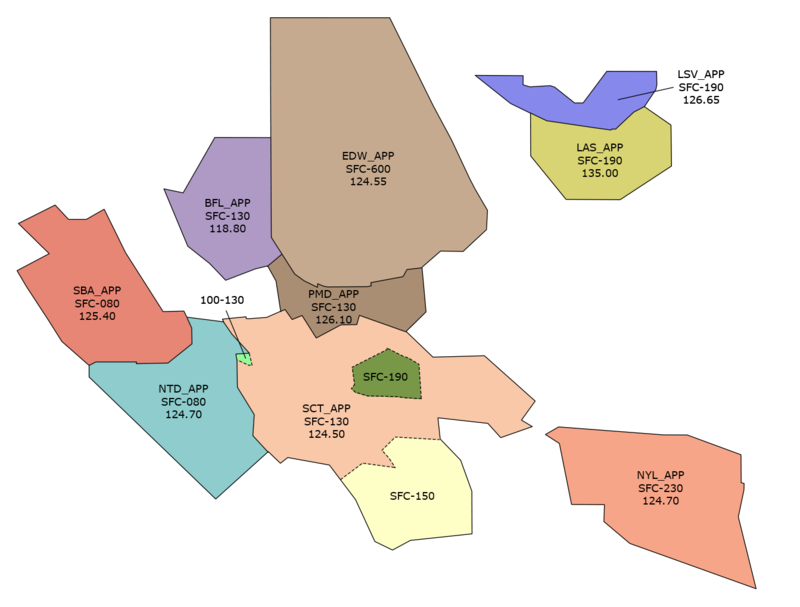 Los Angeles ARTCC has undergone a number of airspace procedure updates dubbed "Metroplex." The changes include new and updated arrival and departure procedures designed to make traffic more efficient within this congested space. Learn about the most common LAX arrivals and procedures and how to use them properly in the cockpit. This is the first in a series of articles detailing the intricacies of aviation weather and weather forecasting. If you have always wanted to know how to decode the METAR from your favorite airport, this article is for you! There is nothing better in the Simulated World of VATSIM than having a calm steady voice guiding you into your destination airport safely in adverse weather conditions. 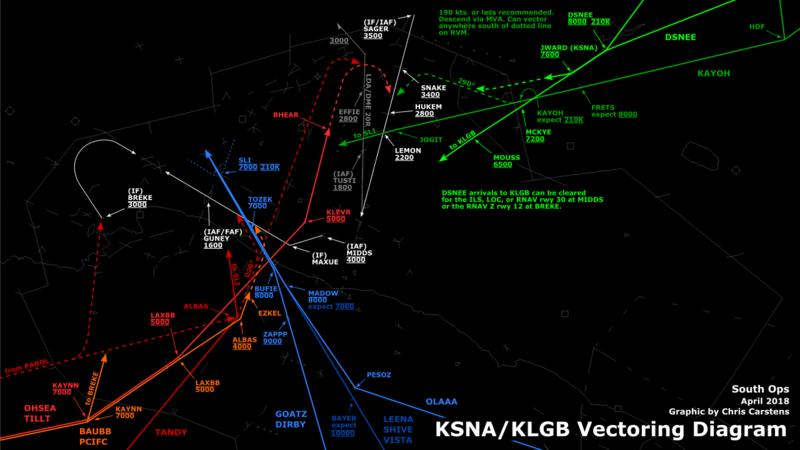 This second part explains the correct aircraft/airline callsigns, how to determine what the active runway will be for flight planning, the fine points of understanding a SID/STAR and approach plates, correctly flying holding patterns, and advanced METAR decoding. Former ZLA Chief Jeff Clark reviews the tips and tricks associated with controlling VFR traffic within ZLA. This is an excellent article to read while preparing for a Senior Student OTS. Read a thorough overview of ZLA's new Weather Pages - complete with every NEXRAD, CONUS and SIGMET you can stomach! Ever been confused by the KAYOH5 arrival into John Wayne? TRACON Lead David Walsh provides a sequel to his "Mastering the ILS 24R" article from 2003. ZLA's former Training Administrator Andy Cleeremans provides some insight into the workings of the SADDE6 arrival and how it's flown. This is the first of a two part article covering VFR flights in ZLA. 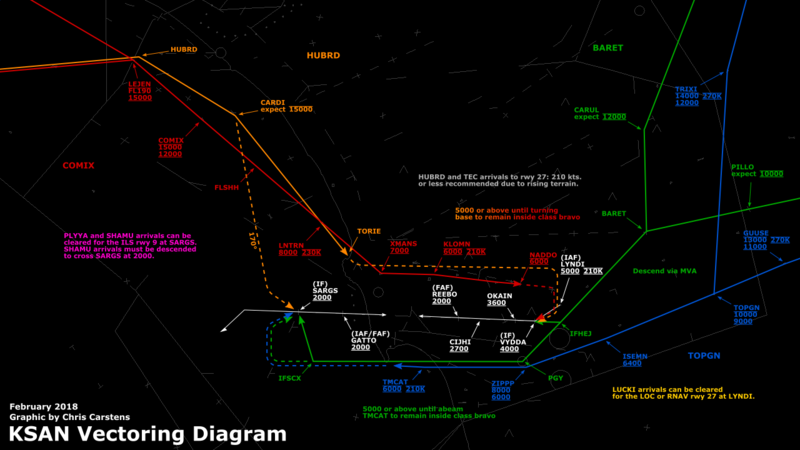 It covers the various options for transitioning the LAX Bravo airspace. In this second article, we cover the radio work and basic procedures for conducting 3 VFR flights within ZLA. The first flight is basic pattern work, the second is a short hop between two nearby airports. The last flight utilizes one of the LAX transitions covered in the previous article and makes use of flight following. Instrument approach clearances cause a lot of confusion among controllers. If you'd like to learn more about the nuances of these types of clearances, this article is for you. 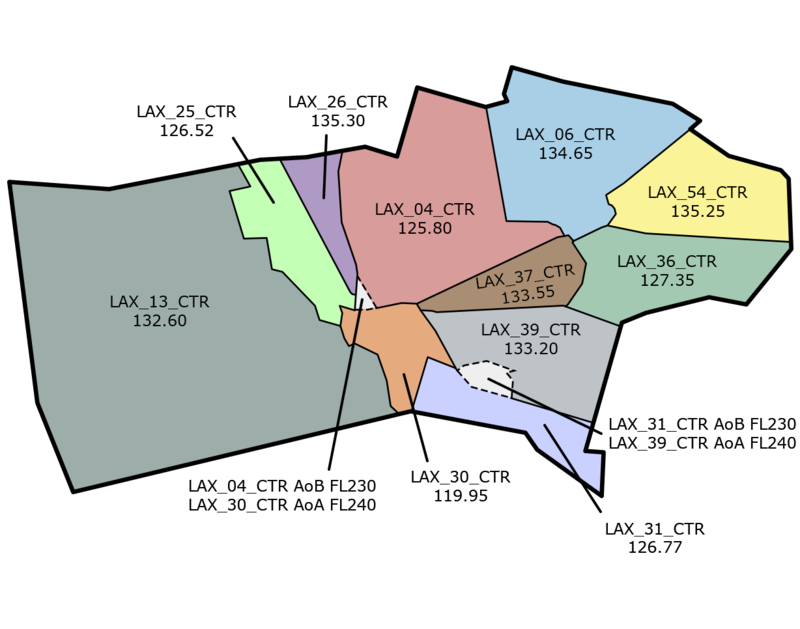 ZLA's airports lie within a wide variety of airspaces including 3 class B, 5 class C, and 30 class D's. Veteran ZLA Pilot Wayne Conrad checks in with an article from the pilot perspective aimed at simplifying what you need to know to fly in each of them. Part 3 builds on your knowledge introducing some advanced IFR maneuvers, such as flying a DME arc, NDB approaches, and Contact approaches. This also covers proper IFR reports to be made to ATC, as well as helpful hints and tips to properly filing a flight plan. Tips for flying VFR in congested terminal airspace are also explained, and finally some advanced weather decoding, such as Sigmets/Airmets, TAF's, Winds aloft, and filing/understanding Pireps. This companion article discusses topics not addressed in the main article. This is the first of a 3 part series geared to help new and experienced pilots get the most enjoyment flying on VATSIM in the ZLA corridor. This covers the basics of getting setup at an airport, who to contact, the proper use of the voice radio, and helpful information you can provide ATC in the remarks section of your flight plan. This article covers all of the basics of ZLA procedures to help you prepare for your initial S1 training session. Each month ZLA provides over 100 hours of live training sessions. Our students could never gain the required experience without the help of the pilots who provide them with traffic. Wayne Conrad delivers some important ground rules that all pilots should consider when flying in student skies. Many of the same pilot deviations are repeated on a daily basis within ZLA. 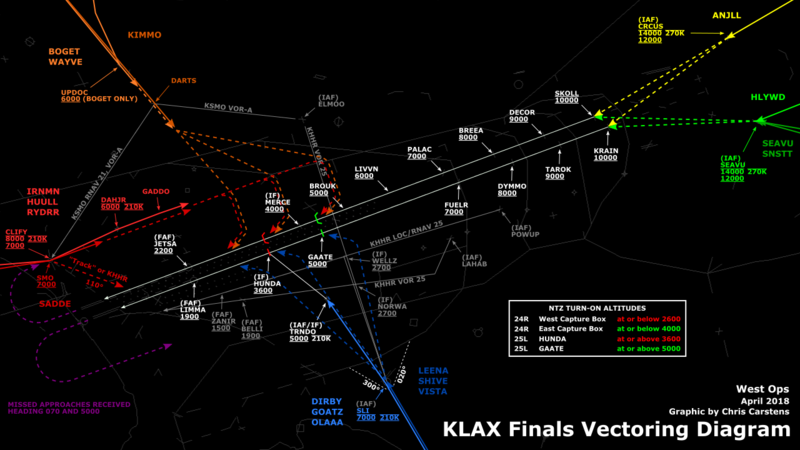 In the spirit of providing tactical guidance to pilots that are planning on undertaking a flight within the Los Angeles ARTCC, we have compiled a list of the most common deviations and presented them in a single, compact list. In his second article, former Facility Chief Marc Sykes provides a tutorial to pilots who find themselves wondering how VFR and IFR are really that different.